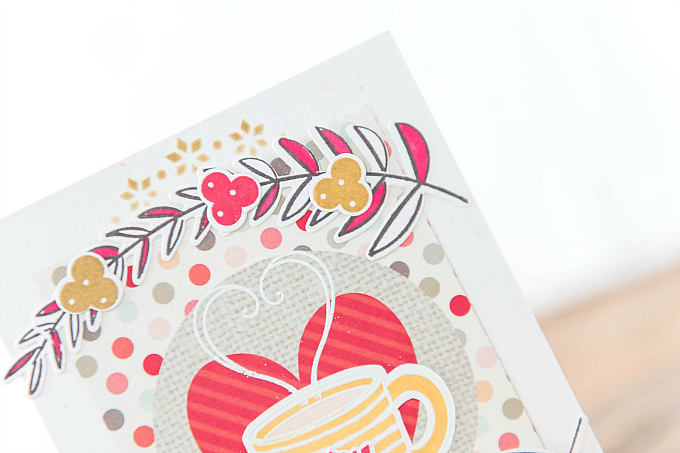 I started this card with a patterned paper journal card, complete with polka dots, and a striped heart. I love pulling colors from paper patterns, and I thought the combination of burnt orange and red was perfect for a comforting vibe. I added some mustard to the mix and a wee bit of yellow as well. I framed my sweet cup with these beautiful stamped branches using Altenew's Floral Frame stamp set. 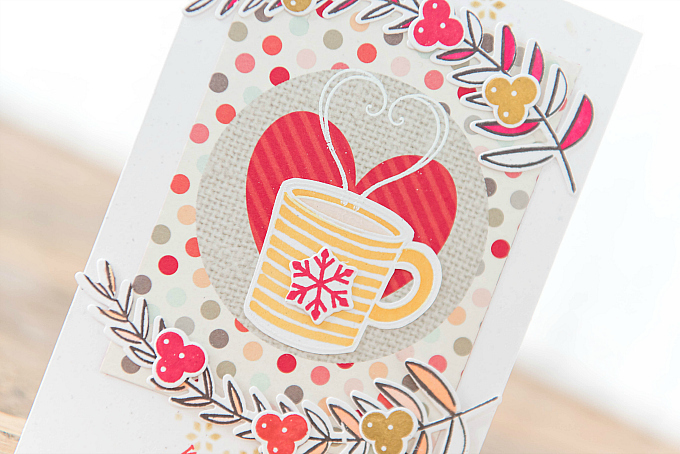 I colored some leaves selectively, and also added a few berries using PTI's Holiday Hugs stamp and die set. I used colors of Smokey Shadow, Pure Poppy, Terracotta Tile, and Saffron Spice to match the cozy hues. 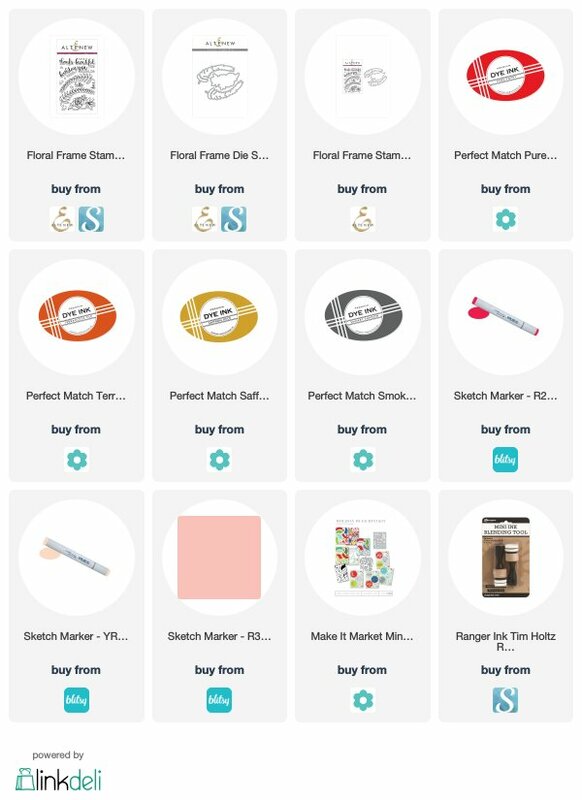 For the striped mug, I used an older stamp set from The Craft's Meow (no longer available), but I did find this sweet stamp that would work perfectly! I embossed the image, and then added the stripes with a Copic marker. The snowflake is also from PTI's Holiday Hugs MIM kit. 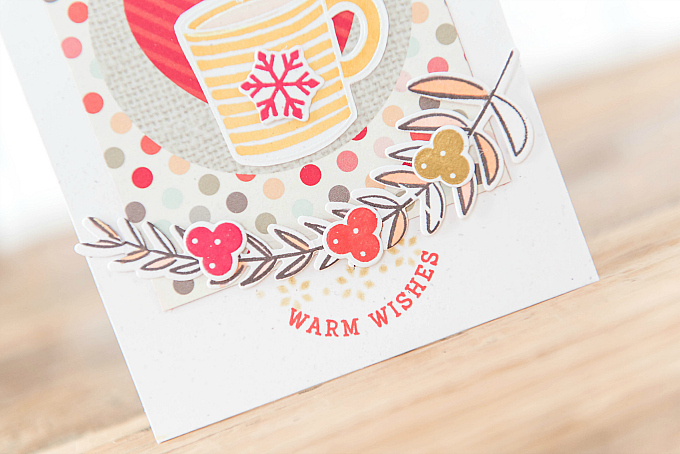 At the bottom, I used the kit stamp for the sentiment, and to add a few stenciled snowflakes. I hope you're all staying warm in your craftrooms! 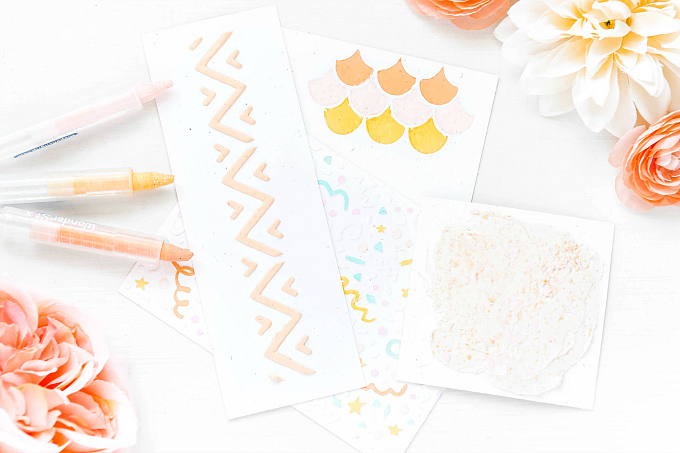 I love every little pretty thing about this card! The colors are warm and wonderful, the polka dots...well those are always a good thing and the branches framing everything are a delight! I love looking out at a snowy scene as long as I don't have to go anywhere--haha! 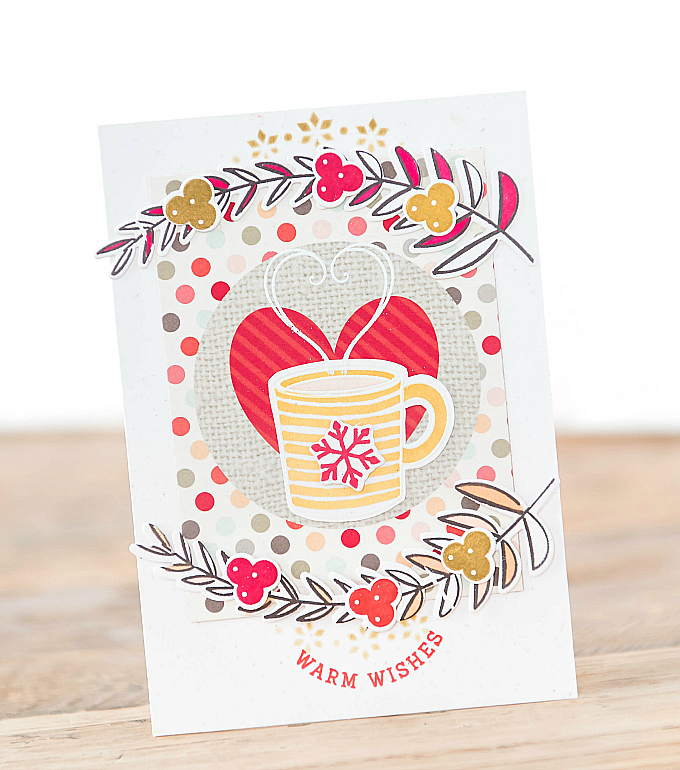 What a sweet card--love the colors & design, Ivana!